A site meant to share healthy versions of delicious food so that more people can enjoy living a healthier lifestyle! This is for you Nana! In a sauce pan, mix first 5 ingredients together. Bring to a boil, mix until smooth. Remove from heat and fold in oatmeal and coconut until well coated. 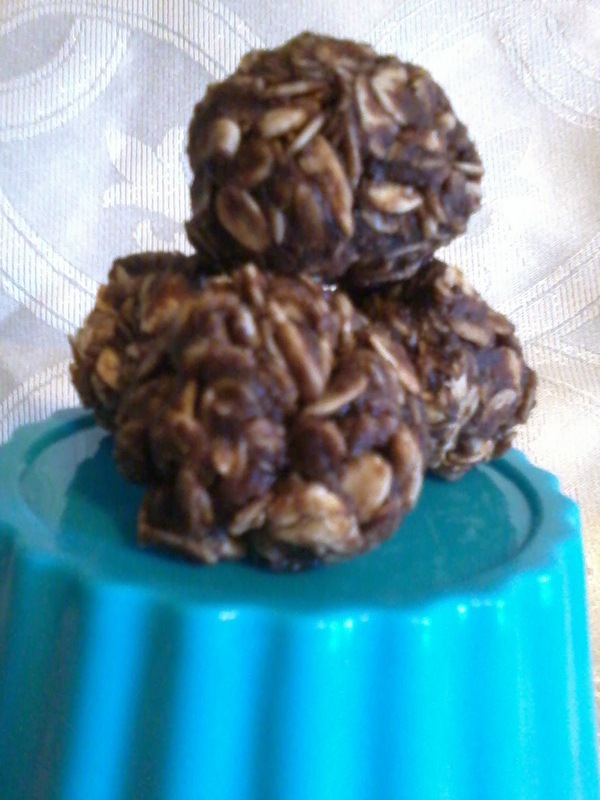 Drop by spoonfuls or roll into balls (more work but they hold up better) and place onto wax paper. Cover and keep refrigerated. Enjoy! These are usually gone at our house within a couple of days. YUMMY!